In this installation sql server required settings are saved to a configuration file and this file is used as a parameter to install sql server. 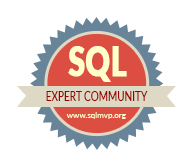 In the above example I have use SQL2014 as my named instance, and this name will be saved in configuration files . all the installation done using this configuration file will have the same instance name. Now cancel the installation and open the configurationfile. Make the changes in the configurationfile.